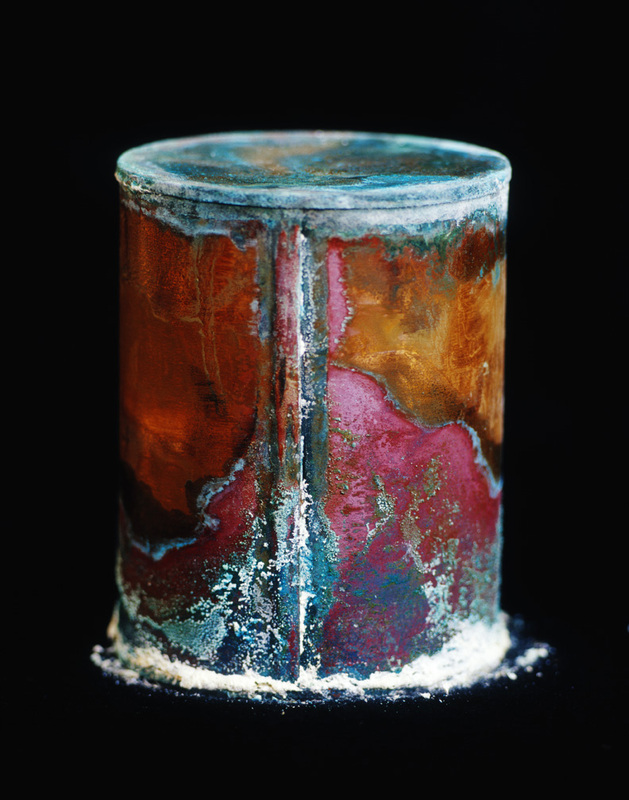 Through photography, David Maisel investigates the boundaries of art and science. Today on Lenscratch, I am featuring his 2005 series entitled Library of Dust. Within these photographs, there is there is a reminder that beauty holds a double-edged sword, full of complications and mystery. 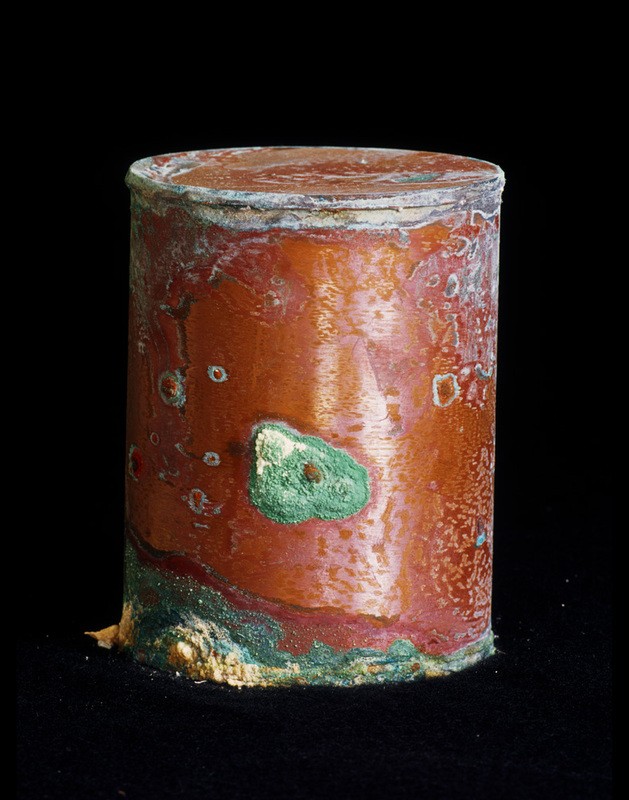 During multiple visits to an abandoned ward at the Oregon State Hospital, Maisel photographed corroded copper canisters that contained the unclaimed cremated remains of former psychiatric patients. 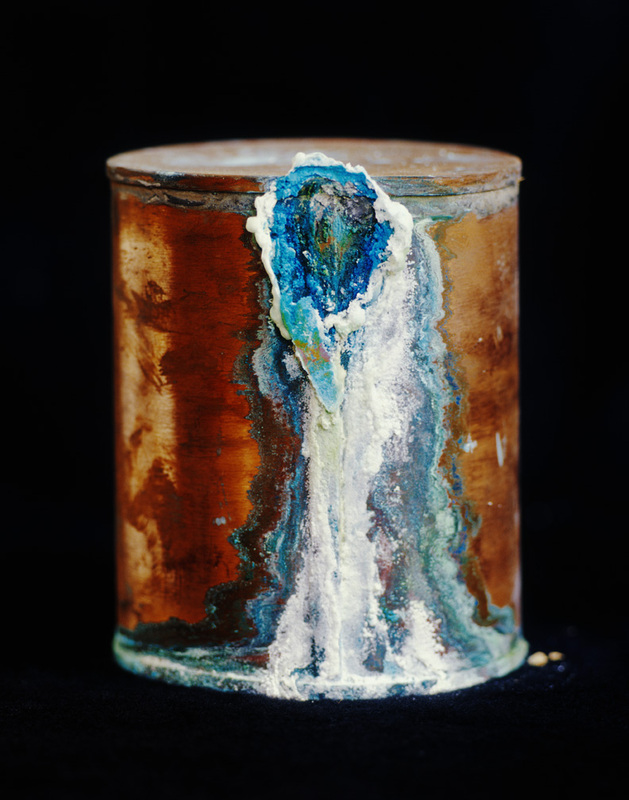 The chemical reaction of the copper canister containing the dust of human remains with the surrounding air and moisture transformed each container, exposing unique colors with suspect blooming textures. The images raise questions not only about the “insane asylums,” as they were named in the past, but also of lost and forgotten individuals, from the past and present. What is it that transforms each canister in such a different manner from another? 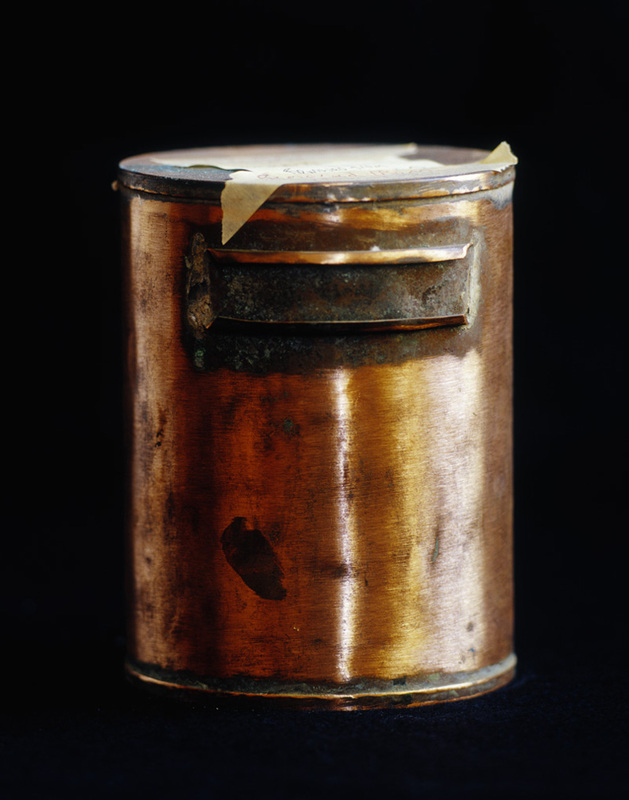 Is it the composition of the copper canister itself, the remains, or the combination of both? Possibly Library of Dust offers a reassurance that long after our physical bodies expire, we remain, at least through science, part of this universe. Maisel’s photographs are included in numerous public collections, including the Metropolitan Museum of Art; the Los Angeles County Museum of Art; the Victoria & Albert Museum; the National Gallery of Art; the J. Paul Getty Museum; the Brooklyn Museum of Art; the Santa Barbara Museum of Art; the Yale University Art Gallery; the Nevada Museum of Art, and the Museum of Fine Arts, Houston, and many others. His work is the subject of a major monograph from Steidl, titled Black Maps: American Landscape and the Apocalyptic Sublime (2013). His four previous monographs include The Lake Project (2004), Oblivion (2006), Library of Dust (2008), and History’s Shadow (2011). In my project, Library of Dust, I investigate a zone bordered by aesthetics and ethics, though by considering wholly different subject matter on a completely different scale. 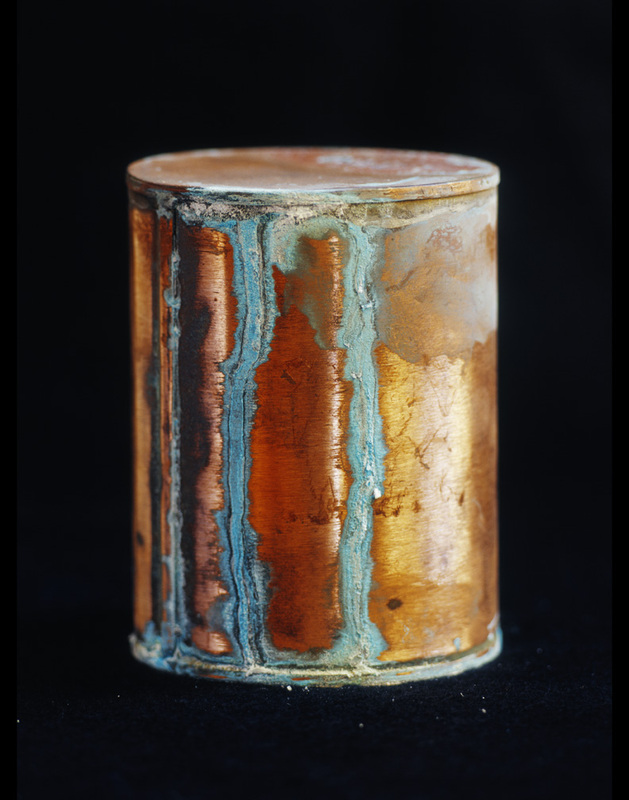 Library of Dust depicts individual copper canisters, each containing the cremated remains of a patient from a state psychiatric hospital. Inside a dusty room, in a decaying outbuilding on the hospital grounds, are simple pine shelves lined three-deep with thousands of copper canisters. The canisters hold the cremated remains of mental patients who died at the hospital from1883 (the year the facility opened, when it was known as the Oregon State Insane Asylum) to the 1970’s, and whose bodies remained unclaimed by their families. 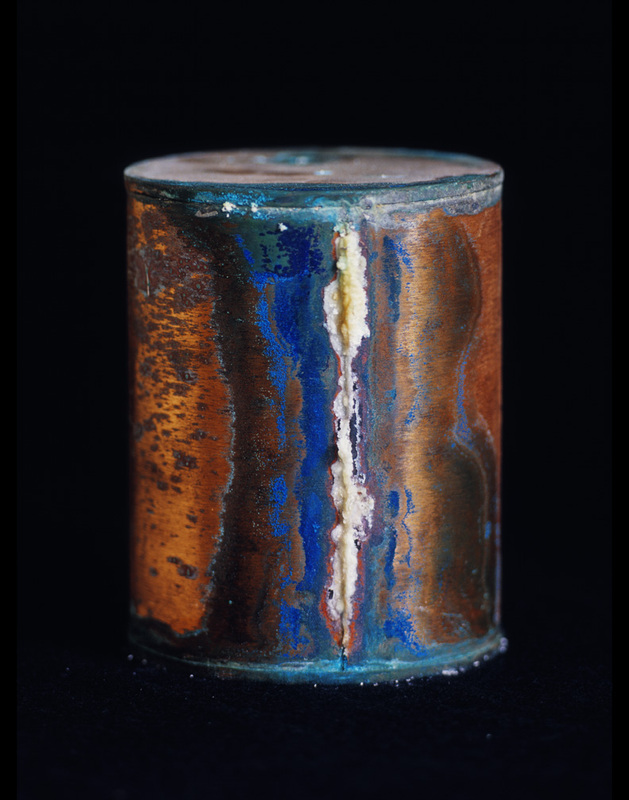 The copper canisters have a handmade quality; they are at turns burnished or dull; corrosion blooms wildly from the leaden seams of many of the cans. Numbers are stamped into each lid; the lowest number is 01, and the highest is 5,118. 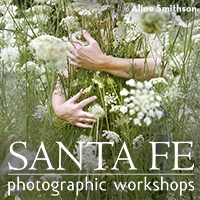 This series is comprised of 100 photographs of individual canisters, each printed some 6 feet high by 4 feet wide. When a group of the prints was shown as part of the Beijing Off-Biennial in Fall 2005, they were exhibited unmounted and unframed, so they were particularly vulnerable. The bottom of the print tended to curl upward slightly, like a scroll being unfurled. This work move into new territory for me, while at the same time echoing concerns with immeasurable loss, with the overlapping realms of ethics and aesthetics, with the secret or hidden being made visible, with the mineralogical and the cosmological, with the metaphysical informing the physical. The vestiges of paper labels with the names of the dead, the etching of the surface of the copper, and the intensely hued colors of the blooming minerals, all combine to individuate the canisters. These deformations sometimes evoke the celestial – the Northern Lights, the moons of some alien planet, or constellations in the night sky. Surely there are physical and chemical reasons for the ways these canisters have transformed over time; but perhaps there are also interpretations which may offer a sense of what it means to live and to die in a secret place, forgotten or abandoned by one’s family. 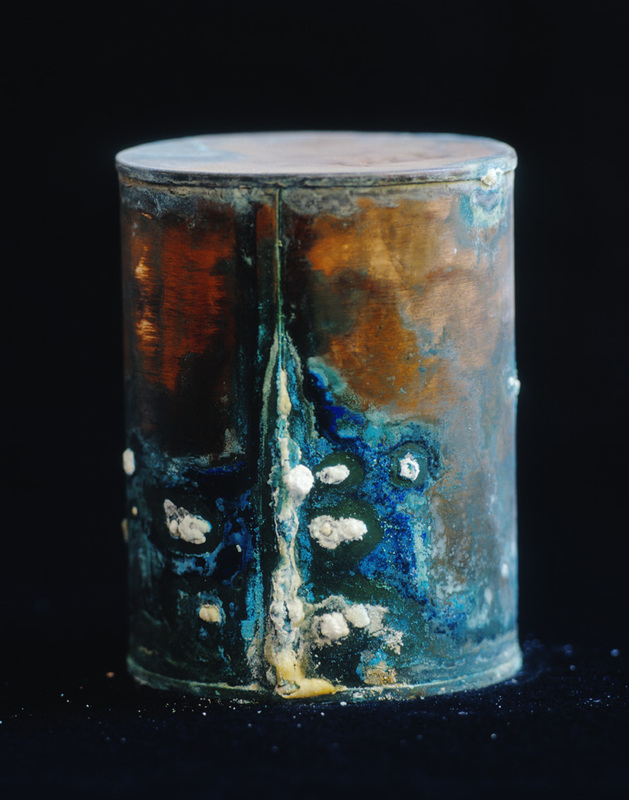 The canisters ask us to consider ‘What happens to our bodies when we die; what happens to our souls?’ Matter lives on even when the body vanishes, even when it has been destroyed by an institutionalized methodology of incinerating the body to ash and categorizing it by a number stamped into the lid of the ashes’ metal housing. Does some form of spirit live on as well? The library as a morphology is apt- the site of these canisters is a place for order to be imposed upon randomness. For what could seem more random than the many separate fates that led these thousands of individuals to this room? What combination of choice and chance, of illness, of representation and misrepresentation, of diagnoses and misdiagnoses, an infinite number of slippages multiplied more than three thousand times over, circumscribes this room, this library? The library is an extension of the institution. It is a representation of the hospital’s functioning, a model of the beds lined up along the long wards, or, when the wards were later subdivided, of the individual cells that lined the halls. The library exists for the hospital, in the shadow of the hospital, a microcosm of the hospital itself, contained within the bounds of the hospital. The morphology of the library is the replication of the basic unit within a systematized method of order and presentation. 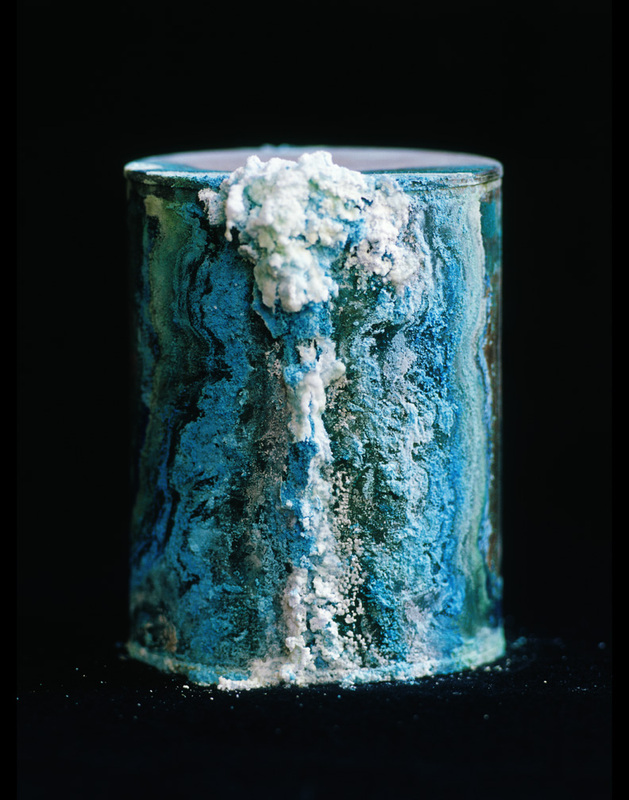 The canister is the unit that seems to be endlessly created again and again; the blooming of secondary minerals on the canisters’ surfaces individuates each and cuts against the sameness of each unit. The crystalline formations and dustings on the copper break the unit of measure down still further, and are themselves without end and without repetition; each surface is unique and is itself comprised of infinitely differing aggregates and forms. The interior is merged with the exterior, but not coincident to it. It is not literal transparency, but rather like a leakage across a barrier, in which the abject ashes of the dead combine with their housing and the effects of their former interment to present themselves to us. The library seeks to negate the dizzying sense of the infinite multiplied upon itself. The library has boundaries, or attempts to have them. It is fixed, or at least tries to give the sense of being fixed. The library begins with a number (001) and moves forward from there, steadily and inexorably. The numbers are stamped into metal, into the top of each canister, and thus made physical, made real, and permanent. Against this permanence rubs the zones where the numbers are out of sequence, or where the number refracts, or is skipped completely, or is used twice. A canister contains a person; a canister has a number. The two are meant to equal each other, a binary equation. But some canisters are dense and heavy, while others are light and seemingly half empty. Some canisters have a label that lists a name; though most do not. Some canisters have a metal slot on their surface to contain a label, though the slot is empty. With all of the slippages and missing bits and scraps of information in the library, etched and written upon the canisters, with code upon code (and sometimes empty code upon empty code) limned upon these canisters (labels and missing labels and masking tape labels on shelves listing the underground vaults from which shelves of canisters have been retrieved), what sort of book can neatly and conclusively give name to these individuals? A book not contained within the library, but outside of it only. Somewhere within the hospital lies a book that lists the identities of those contained in the library. The library itself does not contain that book; the key to the library exists outside its parameters. Indeed, the book is off-limits, it cannot be seen, or viewed; its existence cannot even be confirmed. Nevertheless, it is referred to by the hospital as being real. In the library, which is made to preserve order, we feel instead the threat of extinction. The uncanny repetition of death after death, canister after canister from floor to ceiling, each bleeding a coating of mineral dust and ooze from the seams, creates a kind of claustrophobia, a sense of helplessness. It is as though the canisters contain a kind of primal force, resisting all explanation, and the secret chamber that contains them threatens to hermetically close upon itself once more, with us inside its confines. The contents of the canisters are in all likelihood like motes of dust, floating freely, loose and unmoored and without particular meaning. Though the library attempts order with layers of labels, it is a library of mirror upon mirror, a library of enigmas.